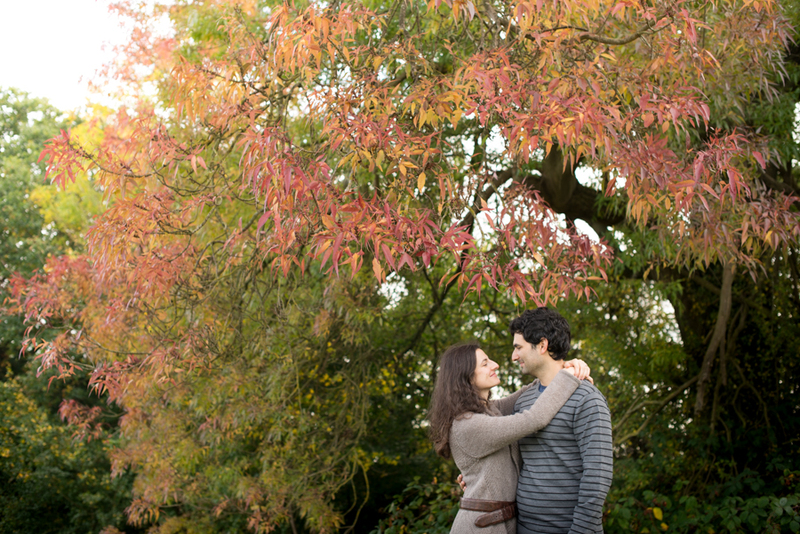 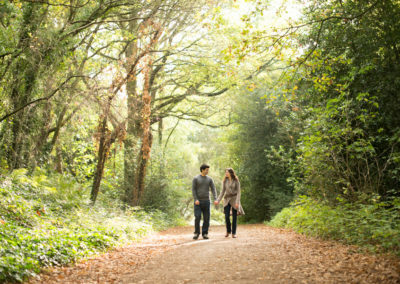 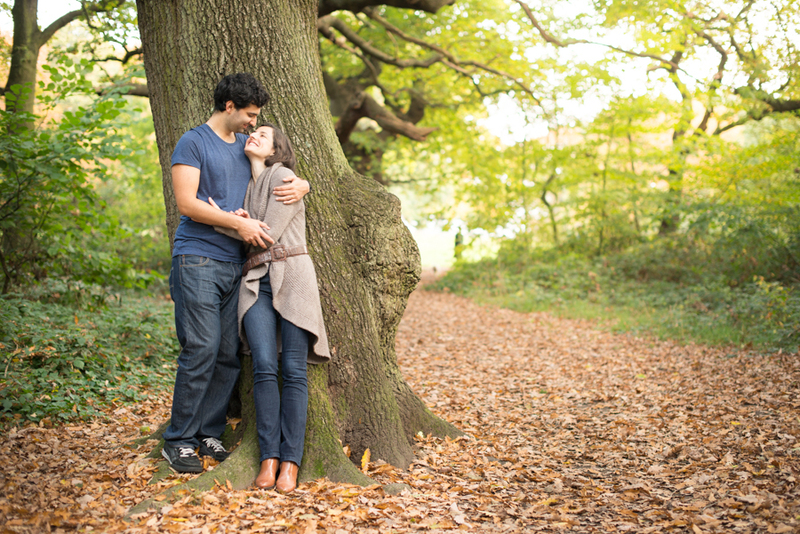 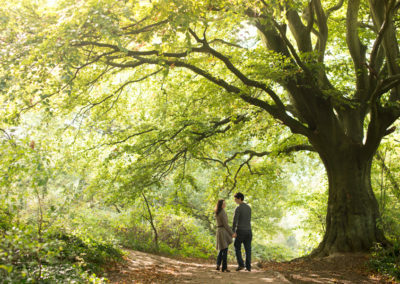 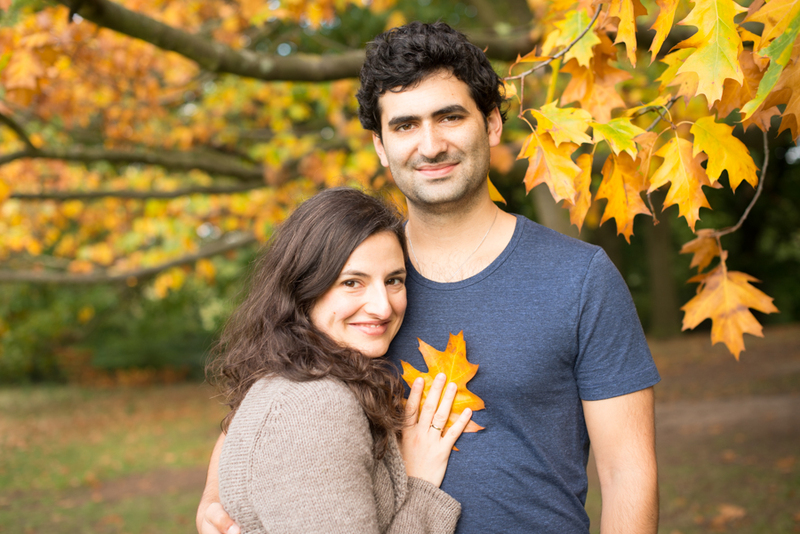 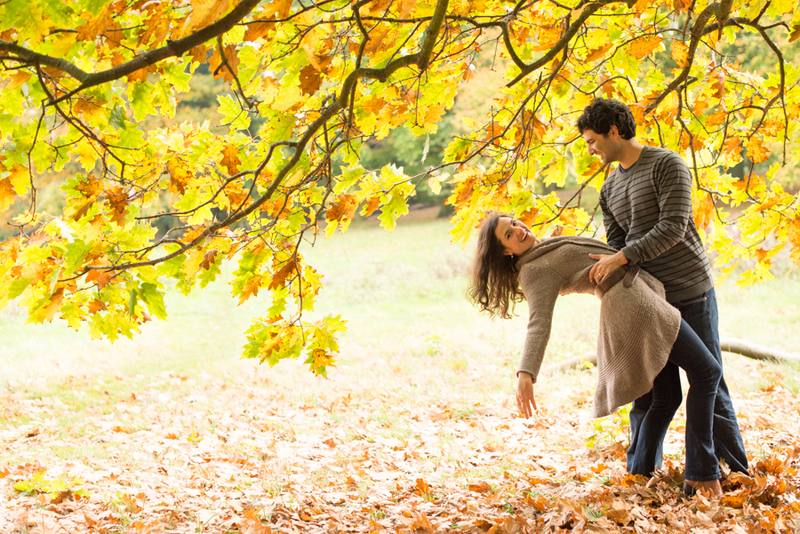 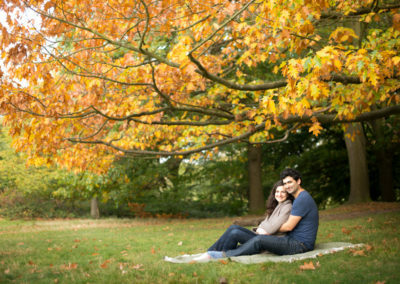 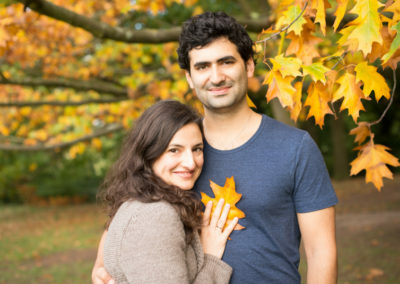 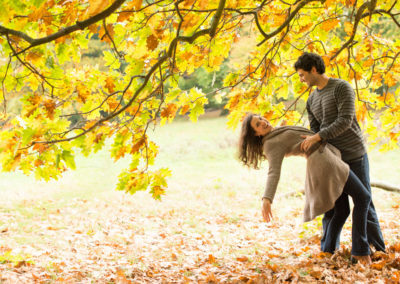 We took full advantage of Autumnal colours at this lovely couple photo shoot  This was actually a wedding gift voucher from his sister – thanks Holly! 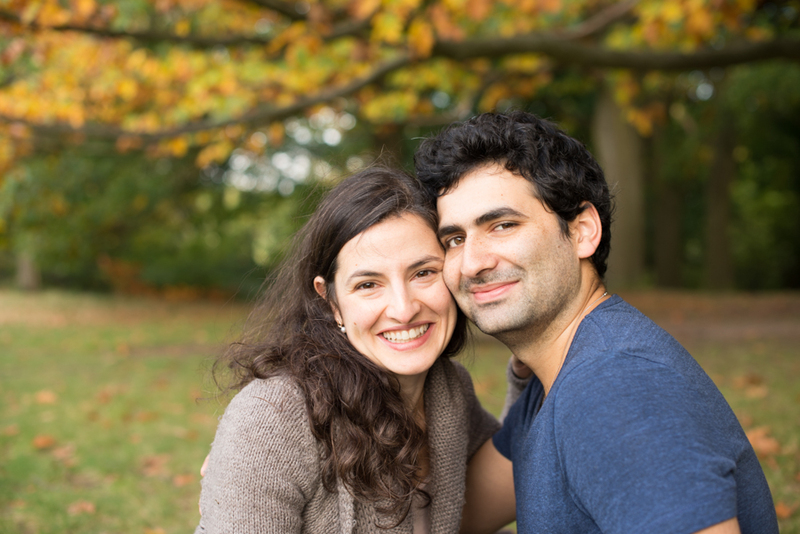 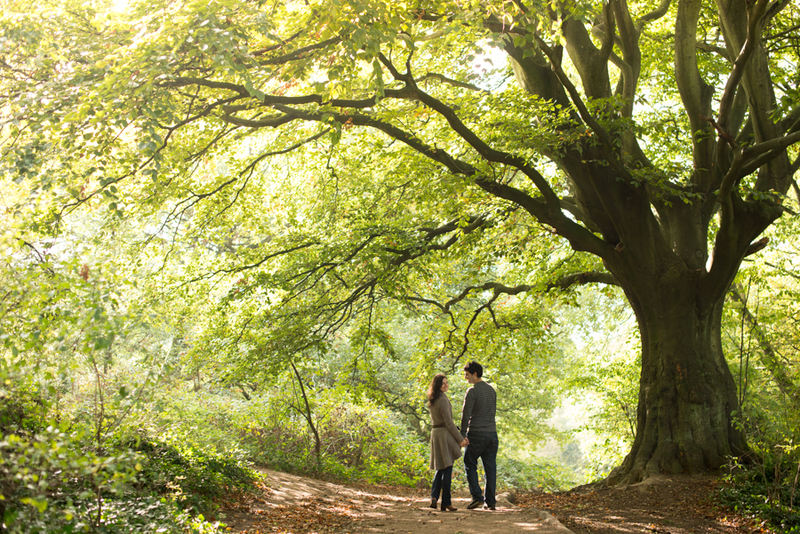 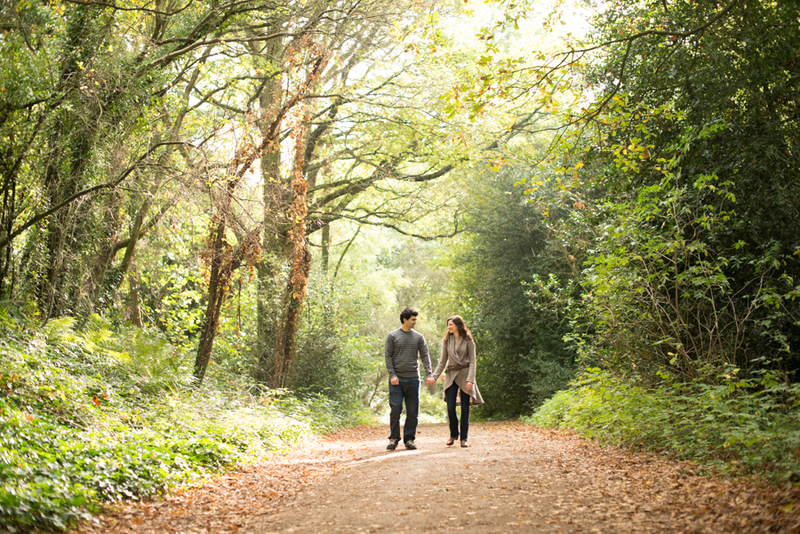 These newlyweds were really easy to work with and we just walked through this amazing park in Hampstead Heath in London searching for the most colourful trees we could find Antigoni and Joseph live near this wonderful (and larger than I expected) park which was full of photo opportunities! 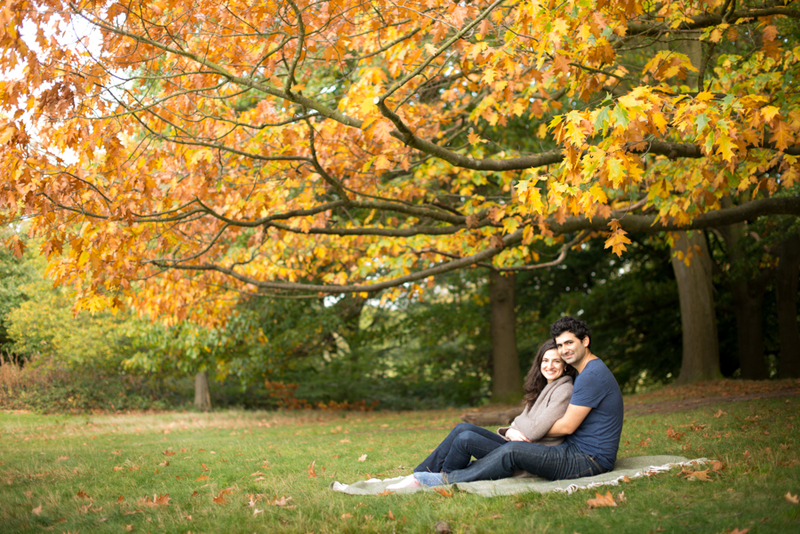 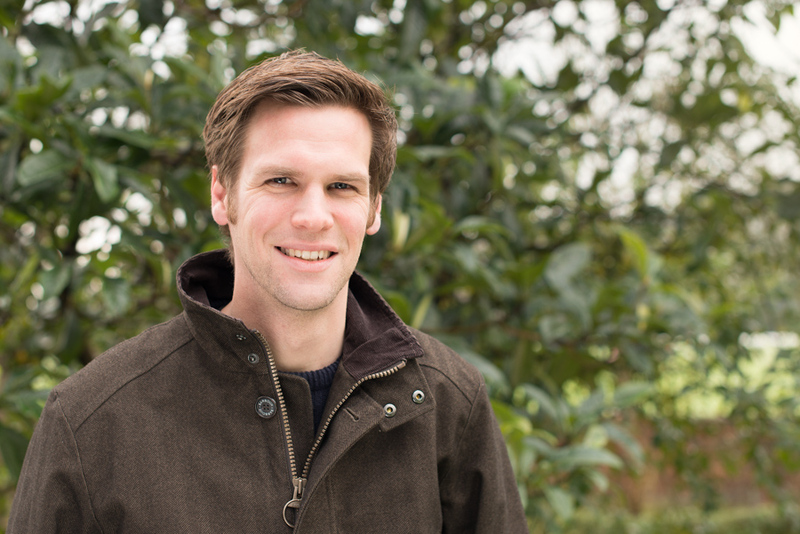 Still just a smidge on a green side of the autumnal spectrum but we found some great spaces to photograph.